The most easily blown - effortless power from a small, light whistle. The Acme ® 660 Thunderer Whistle is a marvel. Waterproof - marine regulations approved. This whistle has 'refereed' F.A. Cup Finals, FIFA ® internationals and World Cups - Over 30 million already sold - need we say more. I've bought many of these whistles in the past. A good whistle, loud enough for a large playground, at a reasonable price. Have bought these whistles on many occasions for use in school. They can be heard right across the noisy playgrounds and also excellent for PE lessons. Much more efficient than many more expensive products. These Acme whistles are ideal for young or beginner umpires. They are light, colourful and competitively priced. Wish they came with lanyards! These is a wide choice of thunderer whistles. The olourful ones can be used with matching colourful lanyards available from newitts. 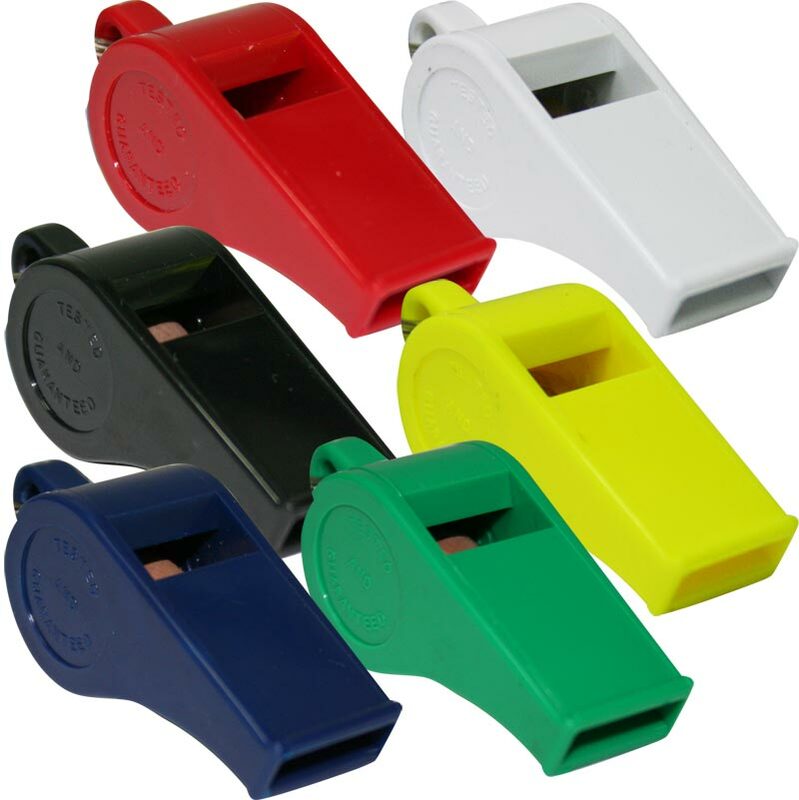 Colourful whistles are easy for young players to recognise when being used.